Knights of Disco entered into the TWIA awards North West this year. 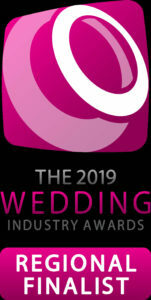 Massive thanks to all our past bride & grooms that voted for us and made us go through to the finals. On the 7th November the North West Wedding industry awards took place at the stunning Bartly Hall. We’re ABSOLUTELY over the moon & made up with winning the North West Wedding DJ ‘Highly Commended’ for 2019. A HUGE thank you again to all our lovely Brides and Grooms who voted for us, we can’t thank you enough!